I’m glad the award emphasizes collaborative relationships because it’s so important to me to recognize the gallery’s partners in this project – it wouldn’t have been possible without everyone’s hard work. For the design of the book, I will always be grateful for the vision of the late Joe Molloy, of Mondo Typo, and his wife, Amita Molloy, who worked as our production manager. Additional design assistance was provided by Jim Drobka, with typography done by Diane Franco. 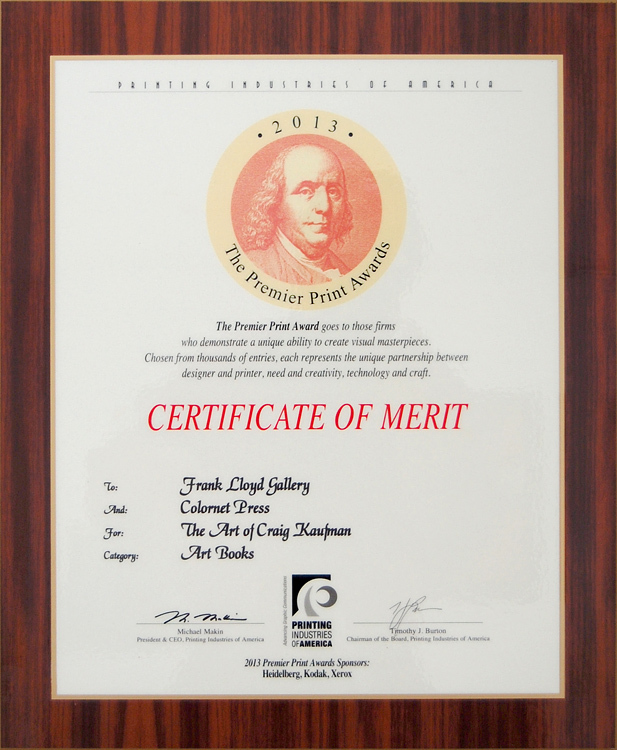 Finally, I have to thank Nick Nejad of ColorNet Press, for his dedicated attention and expertise. I’m proud to share this award with him. 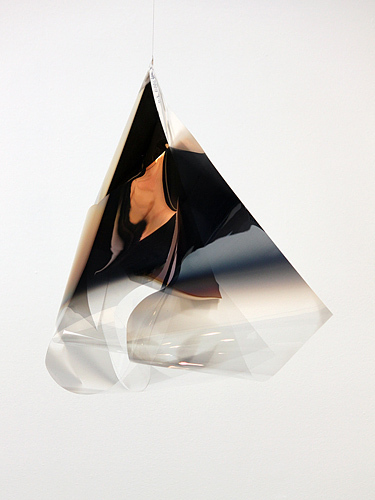 I’m happy to announce that Larry Bell will be the subject of an upcoming solo exhibition at White Cube in London. On view from October 16th through December 22nd, the show is timed to coincide with the Frieze London Art Fair. Bell will be presenting recent works in the North Galleries, as well as in the central 9 x 9 x 9 meter exhibition space that the gallery is known for. 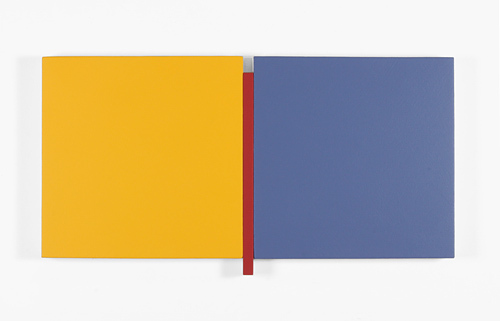 This show will increase Bell’s already considerable presence in London – he currently has two cubes and a very early box on display in the Minimalism Gallery at the Tate Modern. A photograph from 1972 can also be seen in the Prints and Drawings Study at the Victoria and Albert Museum. 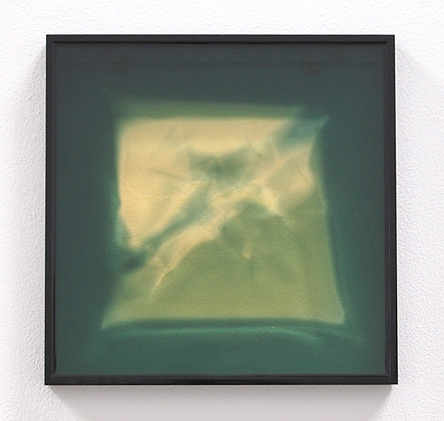 Another gallery artist, Wouter Dam, has been included in the group show In Dialogue with the Baroque at Schloss Schleissheim, near Munich, Germany. This exhibition presents contemporary artists in the context of the baroquely decorated Schleissheim Castle. 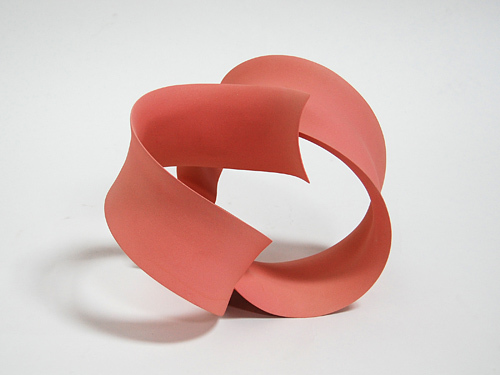 The sinuous, curving lines of Dam’s ceramic sculptures recall the formal principles of baroque ornamentation, making his work a natural fit. In Dialogue with the Baroque opened on September 1st, and will be on display through October 13th. 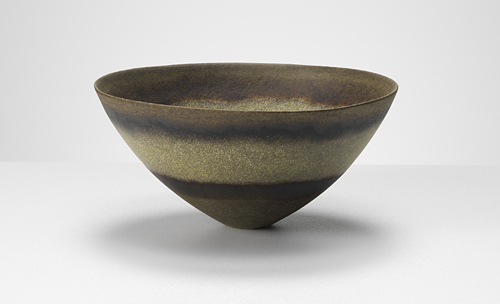 Meanwhile, Gustavo Pérez’s international reputation continues to grow – he was included in Erskine, Hall & Coe’s Summer Show in London, and was featured in their earlier spring show, Classic and Contemporary. Pérez’s work will also be on display at the Galerie Capazza in Nançay, France, from October 5th – December 5th, 2013. This solo exhibition will include new works by the artist, who continues to pursue inventive methods of engaging with clay. Scottish artist Jennifer Lee will open a self-titled solo show at Erskine, Hall & Coe on October 9th, which runs through November 1st. She was previously included in a group show alongside Pérez earlier this year titled Classic and Contemporary, also at Erskine, Hall & Coe. 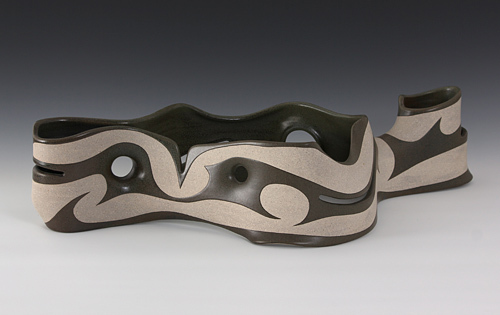 Lee’s work continues to evolve, her elegant vessels combining the geological power of nature with the beauty of human artifact. Akio Takamori has had a busy summer, and he doesn’t seem to be slowing down for the fall season. Takamori recently opened a solo exhibition titled Portraits Ordinaires at the Musée Ariana in Geneva, Switzerland, which will remain up until October 27th. 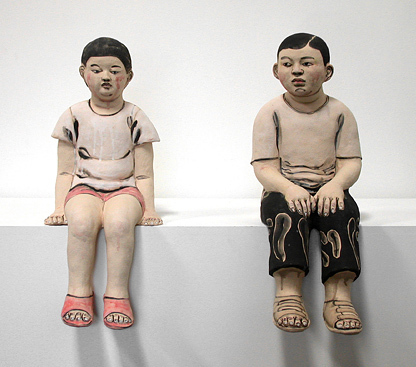 He will also be included in Body and Soul: New International Ceramics, a group show at the Museum of Arts and Design, on view September 24th, 2013 – March 2nd, 2014. Scot Heywood will be the the subject of two complementary solo shows, both opening in October. The first of these, titled Scot Heywood: A Survey of Large Paintings, 2006-2013, will open at Santa Monica College’s Barrett Gallery on October 22nd. It will remain on display through December 7th. His second show this fall, organized in concert with the first, is called Scot Heywood: A Survey of Small Paintings, and it will be on view here at the Frank Lloyd Gallery from October 26th – November 30th. Among the most gratifying moments of owning a gallery are the times when our artists’ work is placed in great museums. Especially when the piece was acquired from an important exhibit at the gallery, and preserved in a carefully selected collection—before being promised to a major museum. This is the best of all possible paths: preservation of the legacy of the artist. I’ve written before about Peter Voulkos in museums. 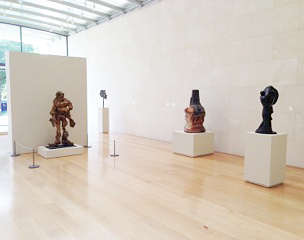 This week, at the Nasher Sculpture Center in Dallas, his work will be exhibited in the company of the 20th century’s greatest: Pablo Picasso, Willem DeKooning, and Alberto Giacometti, among many others. Those who have questioned the placement of Voulkos in the history of sculpture must take note, as this is yet another example of the recognition and power of Voulkos by a major collection. Fortunately for future generations, the work, Alhambra, is a promised gift from one of the gallery’s best collectors, and was enthusiastically accepted by the Director of the Nasher. 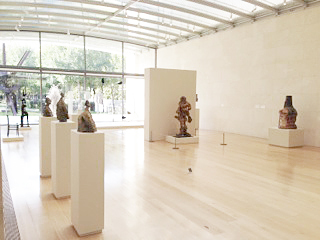 Return to Earth opens at the Nasher Sculpture Center on Saturday, September 21st, 2013, and will remain on view through January 14th, 2014. The artists in our current show, Translucence, were all active in the 1960s. Their work is linked by their shared interest in transparency, light, reflection and the awareness of visual perception. Although they are frequently united under the label of Light and Space, and strongly associated with the late 1960s and early 1970s, it’s important to note how these artists’ work has evolved. Our current show presents historical and contemporary examples of artwork. 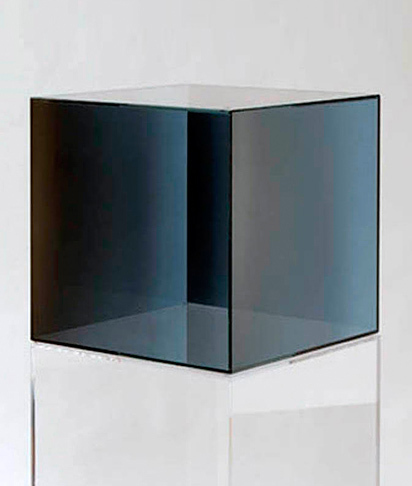 For instance, Larry Bell’s well-known form, the glass cube, is presented alongside work from his most recent series, the “Light Knots.” Working in diverse materials, Bell achieves complex visual effects through his use of thin film deposition – resulting in objects that absorb, transmit, and reflect light, thus calling into question the nature of the physical and visual spaces they inhabit. 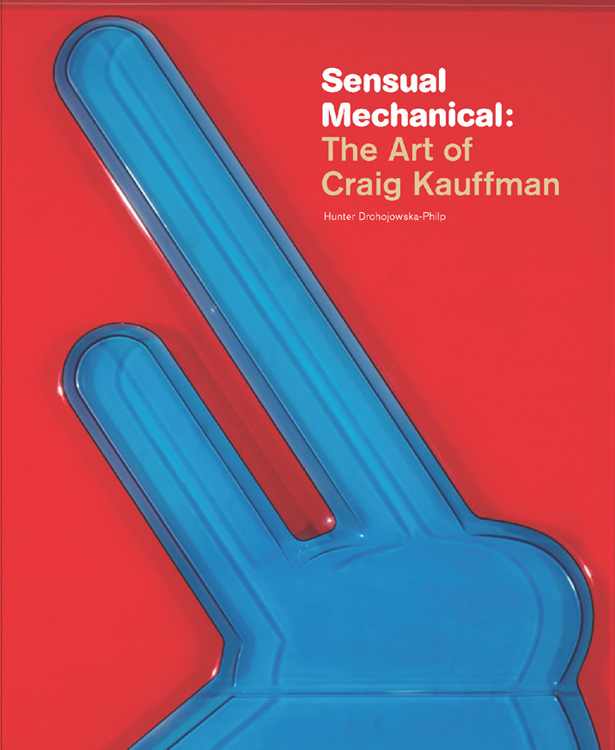 Sensuous color characterizes Craig Kauffman’s practice, and plastic allowed him to expand on and enhance this sensibility. Suspended from the ceiling, Kauffman’s Untitled Loop from 1969 radiates luminous color, casting reflections on the surrounding walls. His more recent wall reliefs pulse with layers of iridescent paint, applied in thin layers to achieve a glowing, atmospheric quality. Helen Pashgian’s work, like that of many of her contemporaries, used the new possibilities offered by industrial mediums to manipulate and explore visual and physical phenomena. 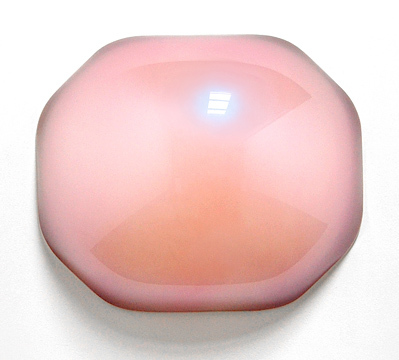 Her practice constitutes an ongoing investigation into the interaction between light, color, and three-dimensional form. Like her historical spheres, Pashgian’s recent pieces explore the perceptual relationship between color and structure, blurring the borders between these principles. As the viewer moves around her work, colors and shapes advance and recede within each piece, creating an effect of instability.